Next Meeting 8pm Thursday 25th October - Graham Carter and Jonny Hannah. 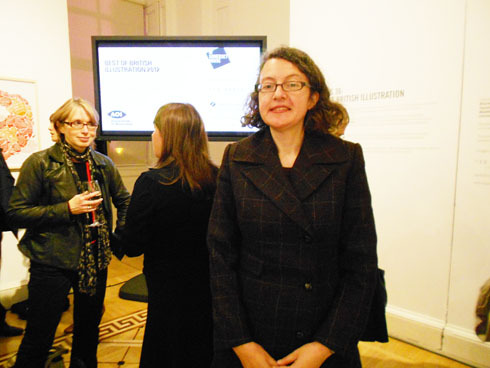 BiG member Angela McKay attended the awards ceremony of the AOI Images 36 annual and exhibition at impressive Somerset House, London on the evening of Tuesday 2 October 2012. Each attendee received an Images 36 annual in a aoi shouder bag full of extra goodies. The awards were chaired by aoi managing director Boo Heng Khoo and the exhibition runs until 28 October in the Terrace Rooms. Angela has her work featured in the annual with the House & Garden Magazine article 'London Design Festival'.